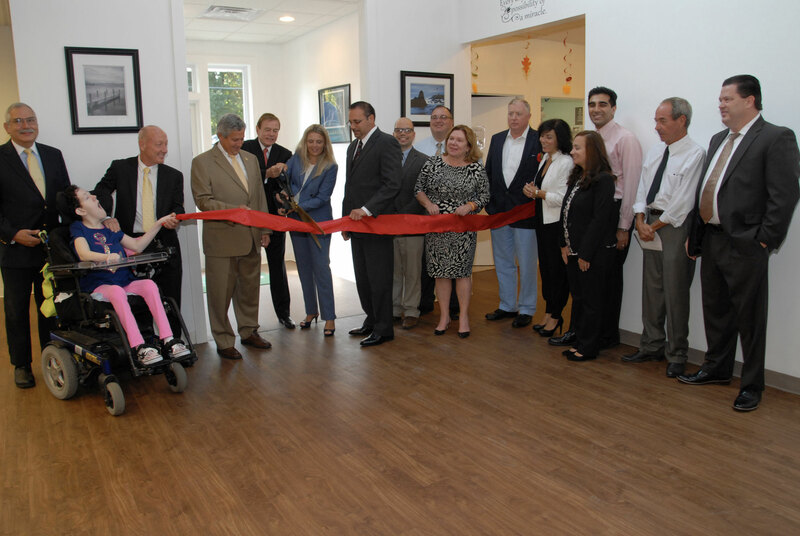 2016 Red Ribbon II – Ribbon Cutting – The Spano Family Charitable Foundation Inc.
On September 8, 2016, Community Options opened its Second Ribbon Red Academy in New Jersey. From left: Philip Lian, COE Board member; Kimberly Spano; James Spano, COE Board member; Senator Christopher ‘Kip’ Bateman; Robert Stack, President and CEO of Community Options, Inc.; Svetlana Repic-Qira, Community Options, Inc. Regional Vice President of New Jersey; Anthony Ferrera, Administrator/Deputy Township Clerk for Hillsborough Township; David Kois, Business Advocate for Hillsborough Township; Daniel Surtz, COE Board Member; Gail Gordon, COE Board Member; Alec Taylor, COE Board Member; Linda Thomas, member of the Red Ribbon Academy’s Parent Group; Dr. Baber Ghauri, COE Board Member; Courtney Eidel, Chief Administrative Officer of Community Options, Inc.; Paul Hritz, COE Board Member and David Sweeney, Chief Financial Officer of Community Options, Inc. open the new Red Ribbon Academy in Hillsborough, NJ. 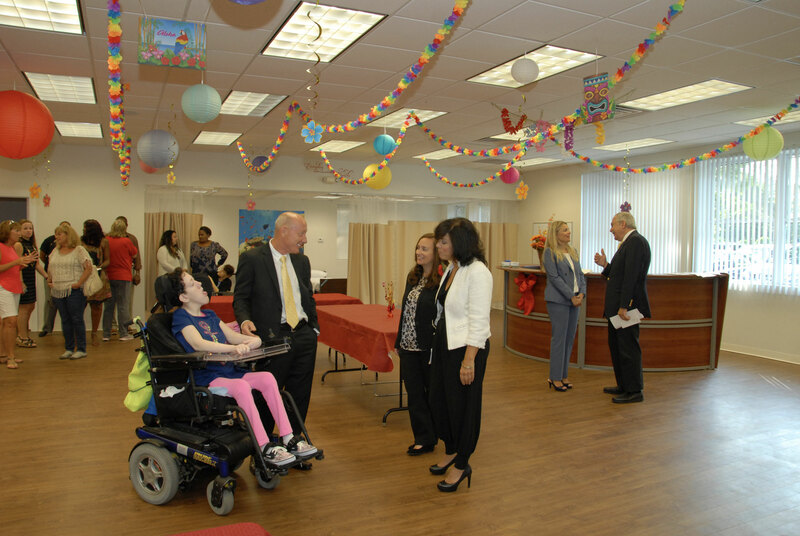 PRINCETON, NJ (September 8, 2016) – Community Options opened its second Red Ribbon Academy, located at 2230 Camplain Road in Hillsborough, NJ. The Red Ribbon Academy II is a state-of-the-art, medical, special needs, adult day program that combines tender loving care, therapy integration, and adapted activities for the 15 people enrolled to attend. The program provides quality medical, therapeutic and recreational support to medically fragile adults with developmental disabilities. In 2013, Community Options launched the first Red Ribbon Academy in Wayne, NJ. The model day-program quickly caught the attention of the community and media because of the numerous awards for its exemplary program design, advanced therapeutic sensory environment, vocational rehabilitation supports, and multifaceted recreational programs available to maintain and increase the participants’ mental acuity and maximize their physical ability. Red Ribbon Academy has touched the hearts of many worldwide. Community Options received generous donations from The Spano Family Charitable Foundation and Valley National Bank. 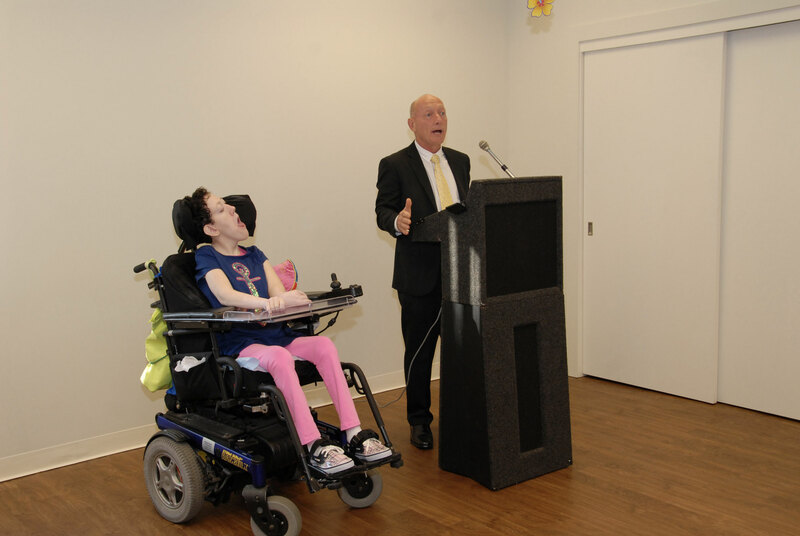 The donation from the Spano Family Charitable Foundation funded the outstanding sensory room. James Spano serves as a board member on Community Options Enterprises’ Board of Directors. Valley National Bank’s donation was used towards the purchase of medical equipment for the program. In addition to several Community Options employees and board members, Senator Christopher ‘Kip Bateman, Anthony Ferrera, Administrator/Deputy Clerk for Hillsborough Township and David Kois, Business Advocate for Hillsborough Township were in attendance for the ceremony and to welcome in the newest members of the Hillsborough community. 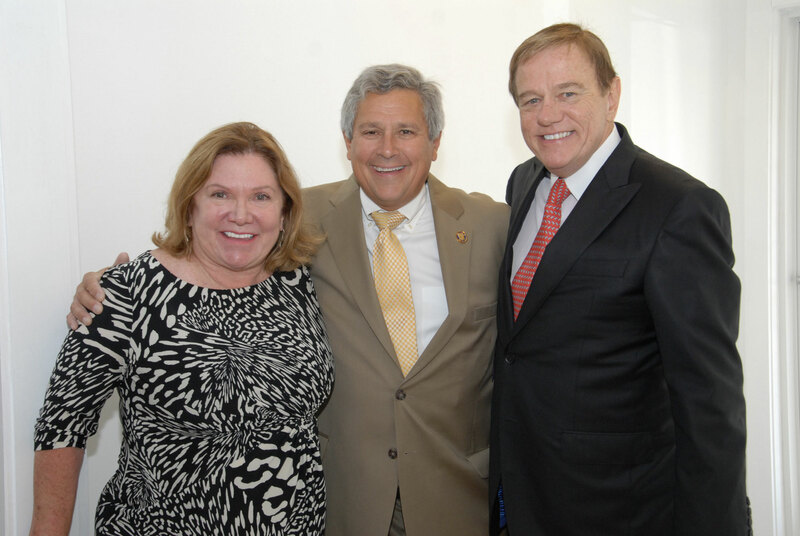 “I was very excited to attend the opening of Community Options’ newest support system,” said Senator Bateman. “It’s going to make a significant difference in the lives of 15 individuals. The hours of operation are Monday through Friday, from 8am to 4pm. In addition, the program provides transportation to and from the Academy. The Red Ribbon Academy is open to anyone who qualifies for services under the New Jersey Division of Developmental Disabilities. SOURCE: Community Options Options, Inc.